The Royal Mint launched a unique series of coins in 2016, known as the Queen’s Beasts. Statues of the Queen’s Beasts were present at the historic occasion of the coronation of Queen Elizabeth II, Britain’s current and longest reigning monarch. The event took place on the 2nd of June, 1953 at the Westminster Abbey in London. The coins were minted in silver and gold. There are 10 planned coins in the series, featuring stylised images of each of the Queen’s Beasts statues from the 1953 ceremony. The designs of the coins were developed by Jody Clark. The series is significant, as it is the first time that the UK has issued a two ounce silver coin, which forms part of this series. In this article, we will explore each coin in detail. The Lion is the first in the series that was inaugurated in March 2016. The issue was completely sold out on allocation. A further mintage was issued by mid-June 2016. The coins were delivered to investors packed in a protective plastic capsule. The obverse of the coin displays a portrait of the Queen, similar to the ones issued on other coins. The obverse also contains the inscription ‘Grace of God, Defender of the Faith’, written in Latin. This is displayed in an abbreviated form with the letters DG REG FD. The initials of the designer, Jody Clark are also inscribed. The reverse is the side that features the stylised version of the crowned Lion of England. The reverse also shows the name of the statue, the fineness of the coin, the year of issue and the signature of Jody Clark. The Griffin was issued in November 2016 and is the second coin in the series. Once again, the obverse features a portrait of the Queen and the initials of the designer. The reverse has the stylised image of the statue of the Griffin, along with the inscription, ‘Griffin of Edward III’. The text also indicates the fineness, year of issue and the signature of the designer. the Royal Mint issued the third coin in the series by March 2017. While single orders were always sent to buyers in a protective plastic capsule, bulk orders were despatched in containers used by the mint for its hugely popular Britannia bullion coins. With the portrait of the Queen on the obverse, the Red Dragon of Wales, a mythical beast is featured on the reverse of the coin, once again with its name, fineness, year of issue and the designer’s signature just below the shield. The fourth release of the series came in September 2017. In doing so, the Royal Mint skipped a release in March earlier in the same year. With the obverse, identical as the other coins in the series, the only difference was the finish. The earlier coins had a stucco style finishing for the obverse, however, this time the finish featured an arched pattern of several tiny diamonds. The reverse of the coin features an image of the Unicorn of Scotland along with similar inscriptions and the initials of Jody Clark, the designer. The fifth in line of the Queen’s Beats series is the Black Bull of Clarence, which was issued in March 2018. The obverse is the same as the other coins and the reverse features an image of the black bull, with the other inscriptions similar to the earlier coins in the series. The Royal Mint plans further releases in order to bring the Queen’s Beasts series to completion. Upcoming releases are expected to feature the Yale of Beaufort, the White Lion of Mortimer, the White Greyhound of Richmond, the Falcon of the Plantagenets and the White Horse of Hanover as part of the Queen’s Beasts collection. 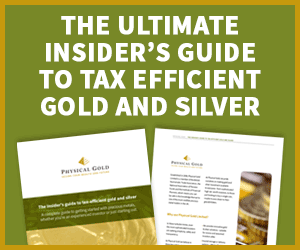 Our investment experts include numismatics specialists who can guide you on the right ways to buy gold and silver coins. Bullion coins can be an excellent investment, whether you’re an investor or a keen numismatist. Queen’s Beasts coins are available at Physical Gold and come with a certificate of authenticity. Dial 020 7060 9992 to talk to a member of our team, or email us to avail of the right advice in buying gold and silver coins. This entry was posted in Blog and tagged Gold Coins, queens beast. Gold investment versus Property – is property losing its shine?